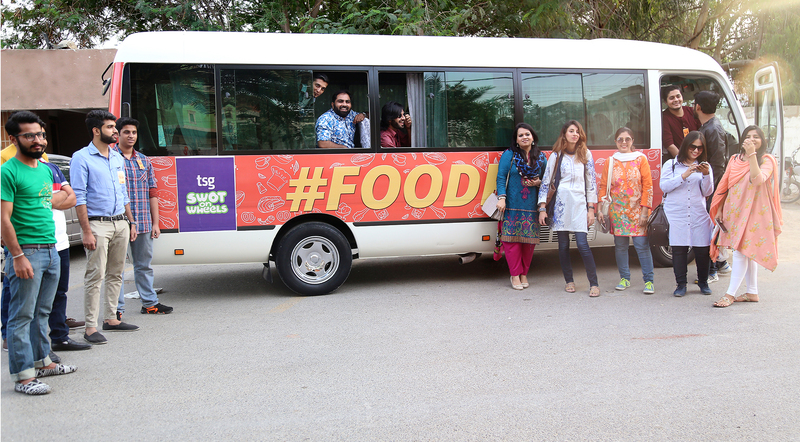 Karachi, Pakistan – March 12, 2017 – Celebrating desi food being a primitive tradition at foodpanda, Pakistan’s very own online food ordering company embarked upon a live food-filled, palate-satisfying Desi #FoodRun with TSG’s SWOT-on-Wheels. With their diet plans shredded, metaphorical bibs donned, a group of 20 die-hard foodies and local bloggers boarded on foodpanda’s stunning orange bus last Sunday to explore Karachi bite by bite! Having come together for the sake of discovering Karachi’s authentic flavours, foodpanda requested TSG’s SWOT-on-Wheels food tour service to cover some major food streets of the city including Burns Road, New Town Masjid, Alamgir Road, Guru Mandir and Dohra Ji that bless Karachi with a colourful heritage in terms of food. 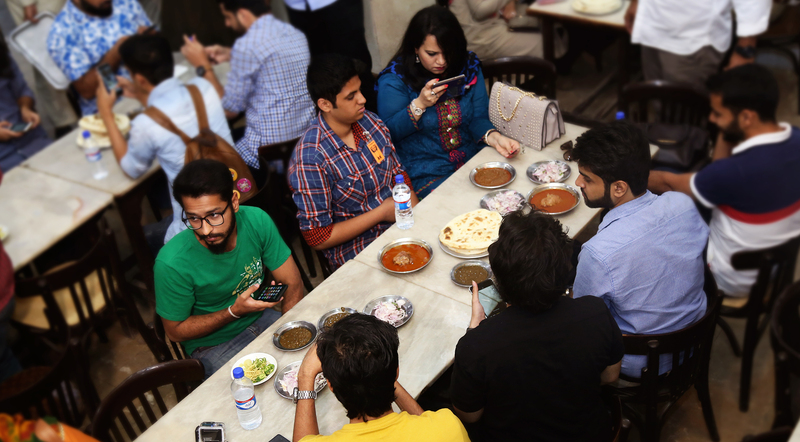 At 6 PM sharp, with empty stomachs, the foodie squad headed to Burns Road to sample Waheed’s Nihari and Fry Kabab. As soon as the aromatic golden gravy with a huge juicy, tender piece of beef topped with perfectly sliced ginger and green chillies was served, no one could resist but only dip their karak naans and even fingers into the spicy pool. Served next were Waheed’s signature runny, butter-fried kebabs. Their velvety texture melted in the mouth so smoothly that no one could hold back. 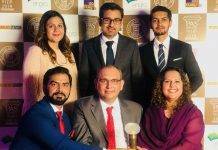 However, realizing that it was just the beginning, the group stopped and flocked to Hanifia: the originators of Hunter Beef Burgers in Karachi! Dry Hunter Beef patty topped with tomato and cucumber slices, assembled between a fresh bun – this flavourful stack was served with a spicy yet tangy sauce to add a punch to the plain flavour of the beef. 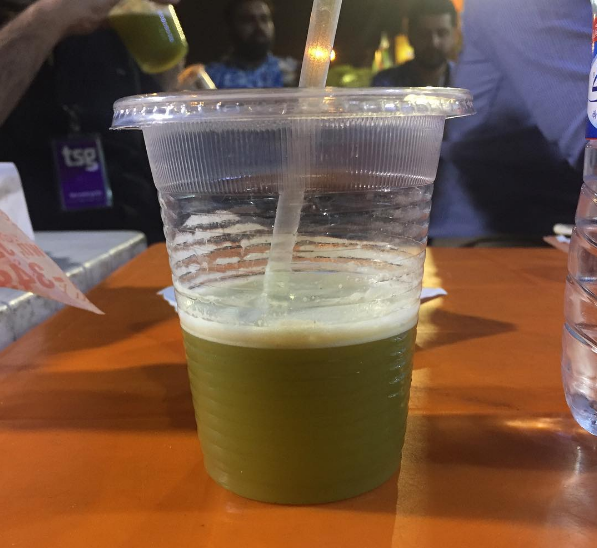 Not yet recovered from this food coma, the foodies were served light and refreshing sugarcane juice shots from Ice Cool, which charge everyone up for the next round of food! Not having a barbeque during a desi food run in Karachi would do no justice, so the next legitimate stop was Meeruth Kebab House at Guru Mandir. Sticking to their staunch belief of divine food combinations, Meerath only served their barbeque with paratha, and no naan. The flavourful tender chicken pieces topped with ginger and green chillies were served with their special imli ki chutney that really tantalized the taste buds and everyone kept asking for more. 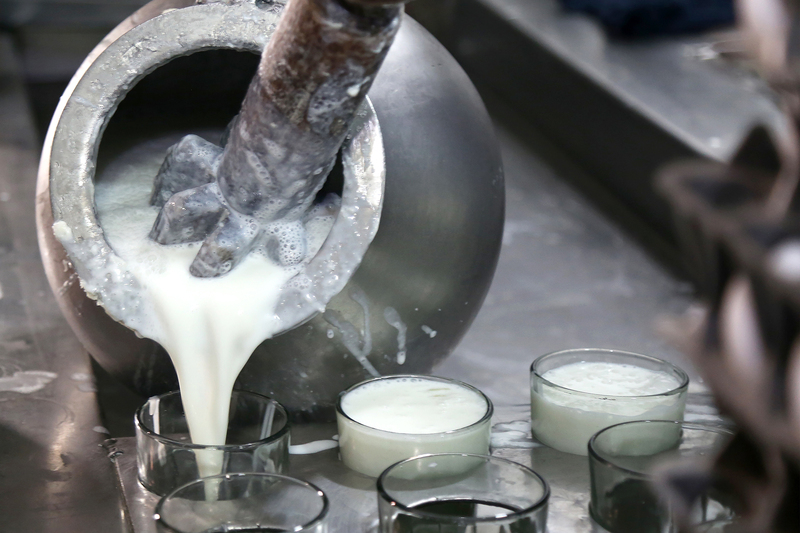 Next, everyone walked to Saleem milk shop for something that no foodie can say no to: Lassi, that also malai mar ke! Here, the true appetite strength of two foodies was tested with a Lassi Competition where the one representing TSG won. Among all the hooting and cheering, the trip got more thrilling and everyone else also gulped their Lassi glasses in no time! The bus then headed to Zameer Ansari. Their Dhaaga Kebab and Shahi Chatakh were what kept all the foodies in loop despite being too stuffed! Perfectly cooked kebabs with the ultimate chutney and soft, creamy Malai Boti with a uniquely flavoured rich sauce. Most people preferred eating both without any paratha or chapatti as Alamgir’s lachhaydar paratha waited for them next door. You are not a true Pakistani foodie unless you close our meals with a chai. 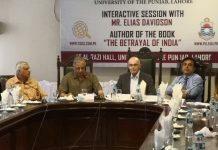 Likewise, everyone was yearning for doodh patti by then and Quetta Alamgir was blessing in a cup! Nobody wanted to spare a sip of their tea, however, each parathas was shared by a group of four. Finally, the bus routed to its last stop, Saleem Qadir Uncle Gola at Dohra Ji. Crushed ice, red, yellow, green syrups, and flowing threads of condensed milk make you feel like seeing a rainbow in the making. This was the best possible close to such a food and fun-filled run! This was actually the first episode of more interesting live food hunts coming your way. 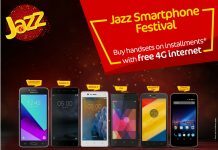 Meanwhile, all the foodies out there who can’t help drooling already can order any of these delectable items home from foodpanda right now!